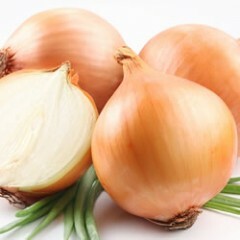 Onions are one of the most important vegetable crops in New York State with annual sales of approximately $52 million. New York accounts for 97% of the onion production in the North Eastern United States and ranks sixth in the nation. Approximately 12,000 acres of yellow pungent cooking onions are grown from direct seed, predominantly on organically rich muck soils. This crop is stored and marketed until April. Sweet and red varieties are also grown, mostly from transplants. Hundreds of small-scale diversified farms grow onions intensively on plastic beds on less than an acre. These onions can grow very large and be lucrative in the market place where they are sold through produce auctions, farmer's markets, roadside stands and CSAs. Continued intensive production of onions in New York has led to an array of perennial pest challenges, as well as the introduction of new pests, so that management of the onion complex in New York requires a very strategic research-based approach. Cornell Cooperative Educators and Cornell faculty work together to conduct research on many aspects of onion production in the state. Below you will find educational information and results of our research trials. This chart provides information on fungicides available for use in New York in 2018 in onions for control of leaf diseases including Botrytis Leaf Blight (BLB), Stemphylium Leaf Blight (SLB), and Downy Mildew (DM). Rotation restrictions and maximum allowable per season are provided. EPA and NYSDEC revised the registration and required label for Surchlor to reduce bacterial rot. The revision provides for separate sprays of Surchlor, rather than mixes with other materials that likely would inactivate the anti-bacterial activity of sodium hypochlorite. New York has a variety of registered insecticide products that can successfully control onion thrips. This flowchart provides several different insecticide sequence options for controlling onion thrips in 2018.